Sometimes in life, the best things are right under your nose. Dabbous had been on my work doorstep for years, but time got away from me and I just never got around to visiting. Getting a job in Moorgate meant that the weekday lunch menu was no longer possible, so another couple of years went by. However, a career change has recently relocated me to Fitzrovia, so Ollie Dabbous and Oskar Kinberg’s joint venture was my first on my lunch list. 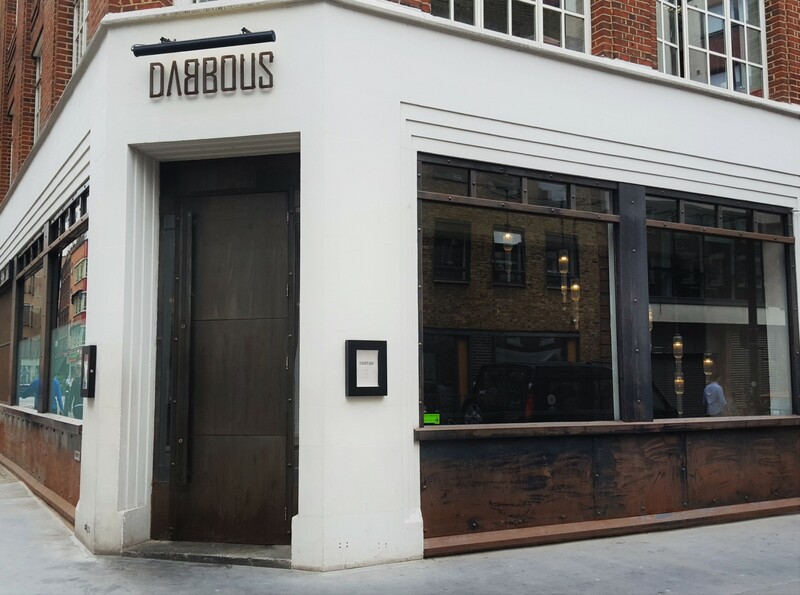 The pair – who met at the Cuckoo Club where the latter was bar manager – launched Dabbous in 2012, going on to win their first Michelin star the following year. Distressed discretion is the description that comes to mind when I think of the exterior: an imposing doorway, no terrace or awnings and windows with rusty-looking panels underneath. Inside, there are two floors, with the restaurant at ground level and Oskar’s Bar in the basement. Crossing the threshold here is like leaving Fitzrovia and being transported into the heart of Shoreditch. 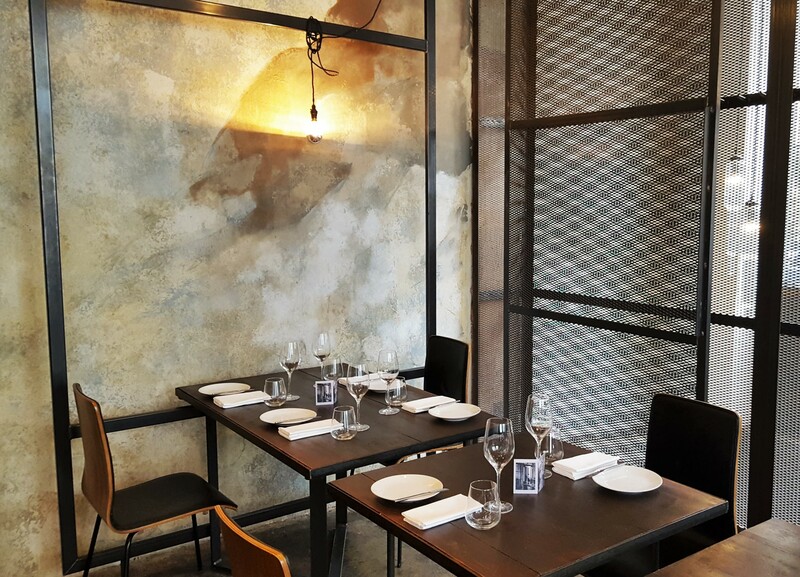 This is industrial chic as its best, so instead of white linen, fancy artwork and luxurious lighting and fittings, you get naked tabletops, bare concrete walls and wires wrapped around metal frames with lightbulbs dangling at the end of them. 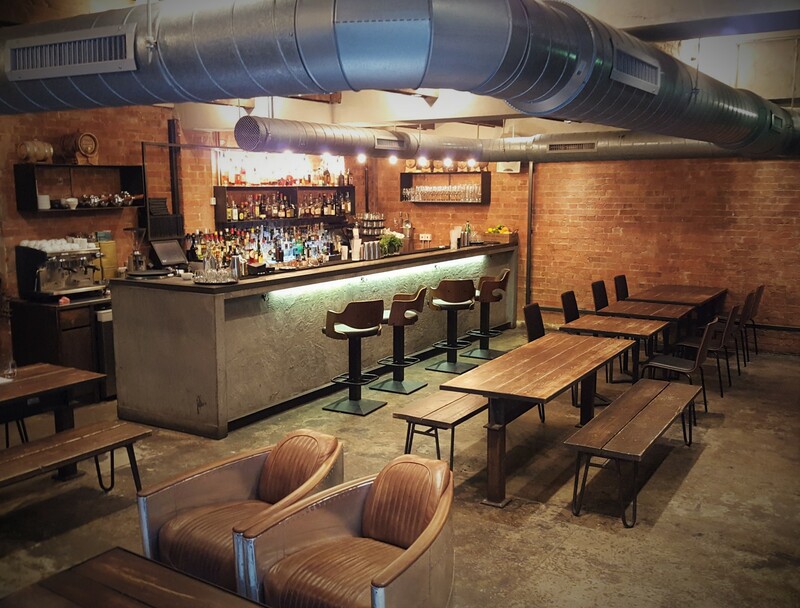 The bar is similarly sparse, with exposed brickwork and a large vent looming overhead. While this may sound a tad gloomy, sunlight pours through the restaurant’s large windows, making it feel spacious. I arrived slightly before my friend (RP), was greeted by the hostess then shown to my table. It was a lukewarm welcome, but better than the stony-faced greeting RP received after which he was left to walk over alone. Service improved slightly during the meal yet remained aloof, and our water glasses weren’t refilled at any point. It also took a while to settle payment, despite it not being very busy that day. 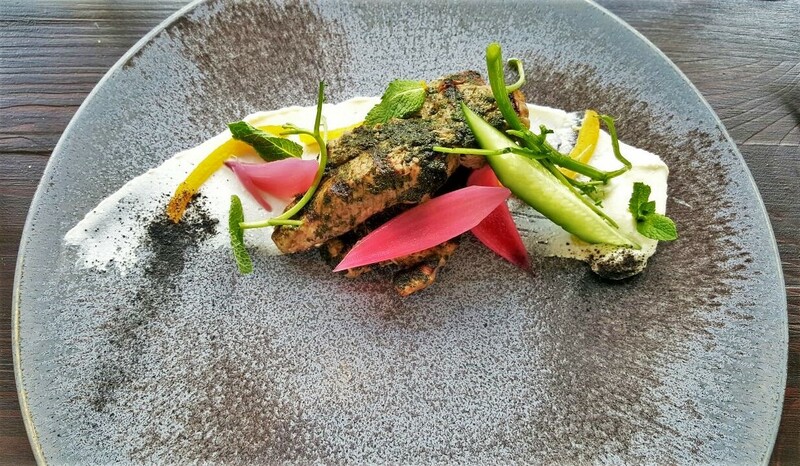 Many Michelin-starred restaurants have set lunch menus, which are incredibly good value for money and make the experience more accessible. 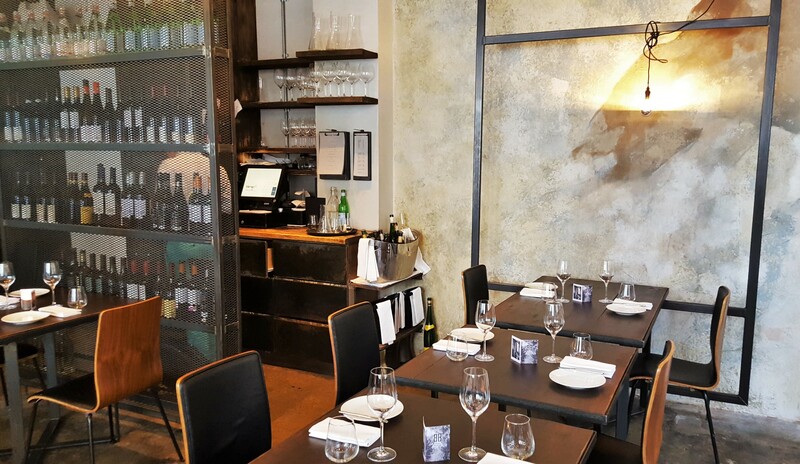 Dabbous offers 2 options: £28 for 3 courses and £35 for 4. 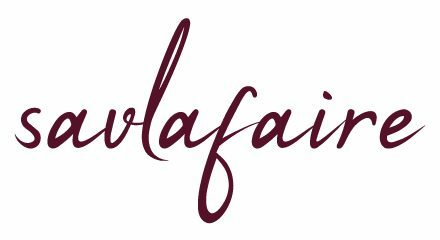 While we were tempted to be gluttonous, we eventually decided to be reasonable; there’s always a first time for everything. To celebrate my new start, we kicked off the afternoon with a glass of champagne (Charles Heidsieck, Rosé Reserve) as we tucked into slices of warm, buttered bread and olives. My first course was sea trout tartare. Now I’m no stranger to tartare, either meat or fish, but I’d never actually had this in its raw form before. The curved bowl initially seemed more interesting than its contents, which just proves that appearances can be deceiving. 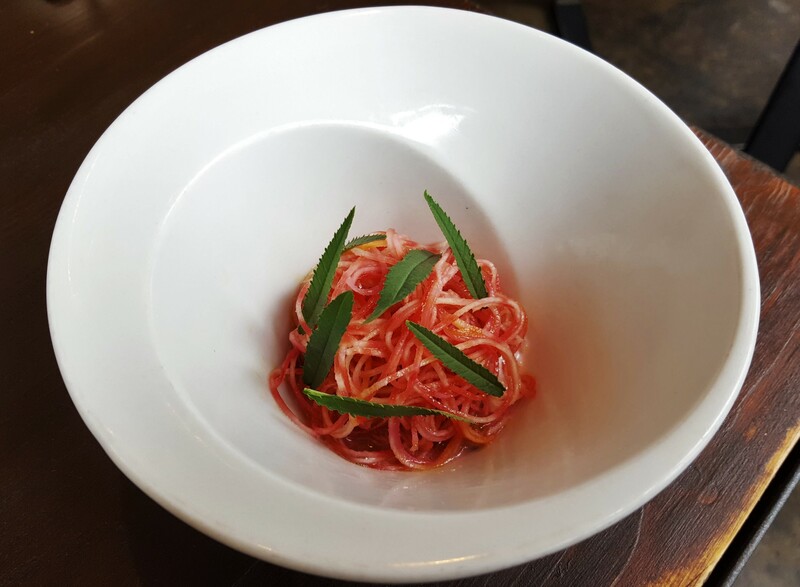 The thin, intertwining ribbons of candy-striped beetroot provided crunchiness and sweetness to balance the soft and sour sea trout, with the marigold shoots adding peppery notes and colour. I thought I’d be struck by food envy when I saw RP’s burrata, and was pleasantly surprised by how much I enjoyed my fresh plate. 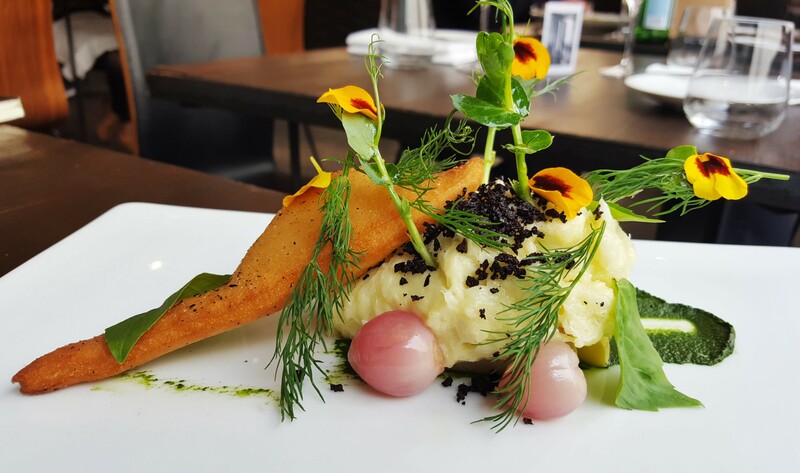 Speaking of the burrata, it was “summer garden” pretty. Taste-wise, RP felt it was overpowered by the olive oil, so the fennel pollen was somewhat lost. The wild strawberries were also a nice touch, although a few more would’ve been appreciated. 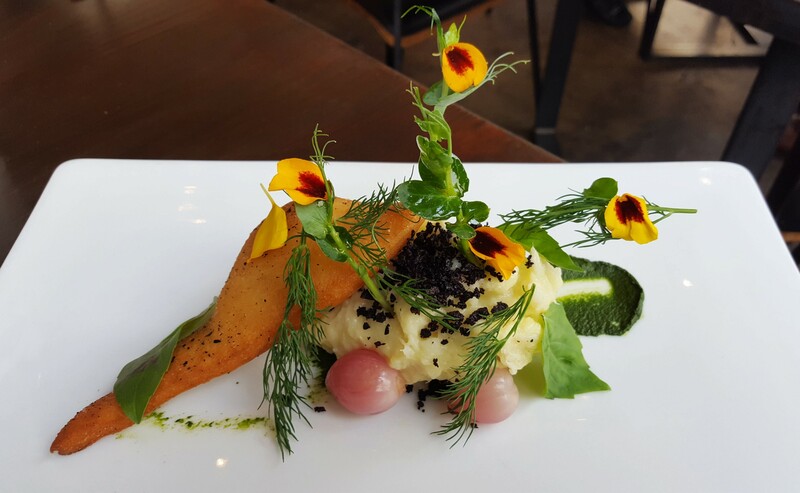 I continued with the fish theme for my main, and what an impressive-looking dish the cod brandade was: plenty of height, colour, texture and aromas. All of the elements got along well apart from their deep-fried accompaniment, which was a little bland and difficult to cut without a serrated knife. For his part, RP was thoroughly satisfied with the barbecued lamb; cooked to his liking and paired with just the right amount of mint, peppercorns and lemon. Yorkshire rhubarb crumble was the only dessert on the set menu, and being a major fan of French desserts, this wouldn’t have been my first choice. People need to be steered in different directions from time to time, because we both agreed that this was our highlight. Once again, edible flowers were used to such great effect that I almost felt sorry to dig in. 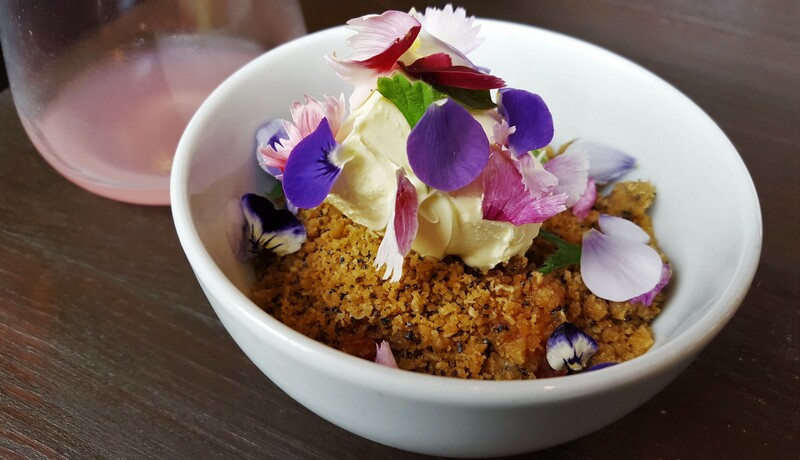 Picture taken, in I went: the warm rose geranium and poppy seed crumble was tasty on its own and then came the sweet-sour fruit at the bottom. As much as I love clotted cream, though, its richness dominated here and so a simple ice cream might have been a better match. In another first, I’d never encountered a “dessert chaser” until then, let alone a rhubarb juice one, which prolonged the flavours and refreshed the palate nicely. 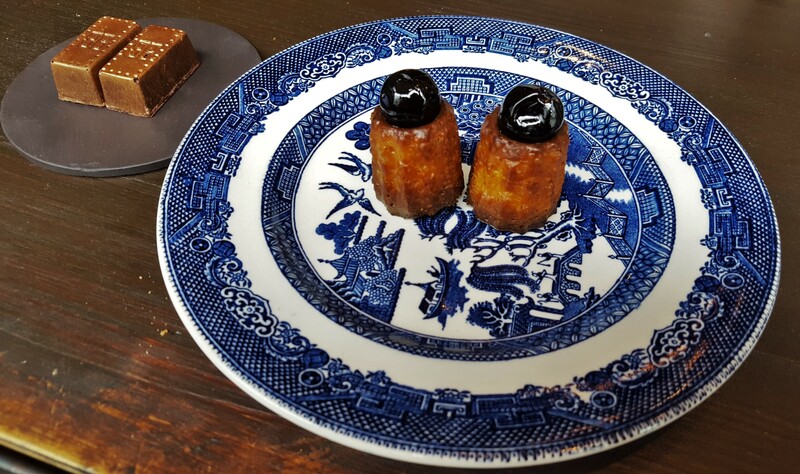 Chocolates and tiny cannelés rounded off the meal perfectly. Set menus can give diners a quick glimpse of a restaurant’s repertoire and, if executed well, encourage them to return to sample the showstoppers. 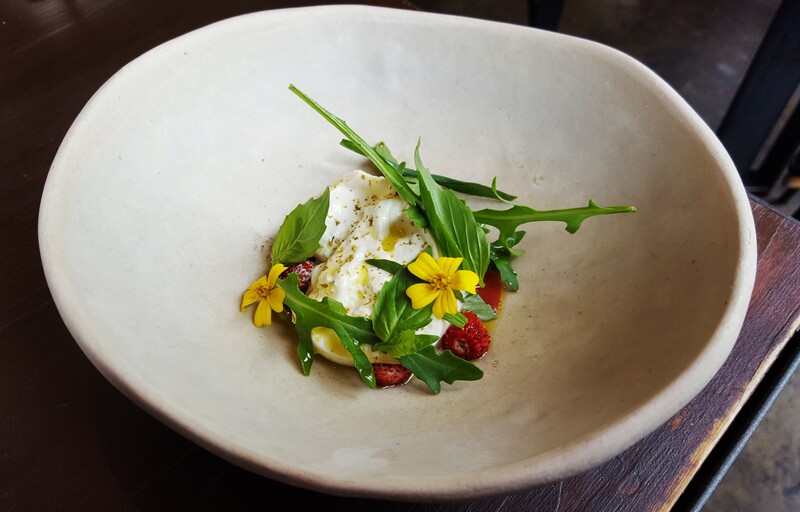 Minor quibbles aside, we both enjoyed what we ate at Dabbous, and there’s no doubt that the dishes display some serious wow factor without playing to the crowds. The stripped-back interior, suitable for most occasions, lets the food take centre stage. I only wish the minimalism hadn’t extended to the service, as having an engaged front of house would’ve made us feel more welcome overall. Nevertheless, the food spoke volumes and we’ll be back to hear what else it has to say soon. I do think your cod looks fantastic, I’m keen to try Dabbous and I love a crumble!